LOCATION.--Lat 41°07'06", long 74°09'37" referenced to North American Datum of 1983, Rockland County, NY, Hydrologic Unit 02030103, on left bank 145 ft downstream from highway bridge on New York State Thruway at Suffern, and 1.1 mi upstream from Mahwah River. PERIOD OF RECORD.--June 1979 to current year. REVISIONS HISTORY.--WDR NY-00-1: 1999 (M). GAGE.--Water-stage recorder, crest-stage gage, and concrete control. 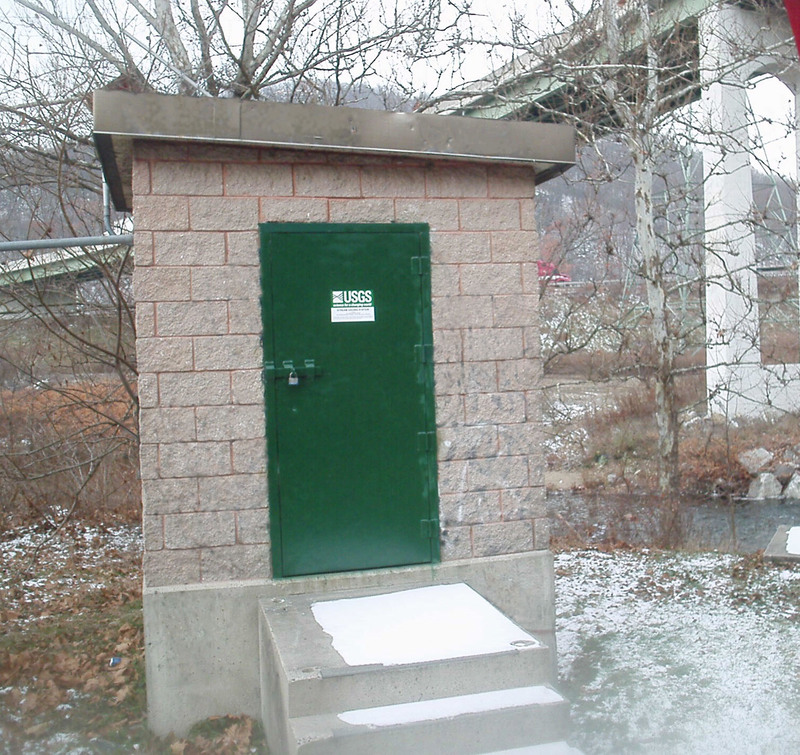 Datum of gage is 264.44 ft above NGVD of 1929 and 263.29 ft above NAVD of 1988. REMARKS.--Flow affected by diversion from United Water New York well field upstream from station and by occasional regulation by Lake Sebago. EXTREMES FOR PERIOD OF RECORD.--Maximum discharge, 14,700 ft³/s, Aug. 28, 2011, gage height, 18.88 ft, on basis of runoff comparisons with nearby stations; minimum discharge, 1.7 ft³/s, Sept. 7, 1995, gage height, 1.04 ft.
EXTREMES OUTSIDE PERIOD OF RECORD.--Maximum discharge, 6,600 ft³/s, Mar. 12, 1936, by computation of flow over dam at site 0.65 mi upstream, drainage area, 90.6 mi².